RARE & AMAZING OPPORTUNITY! 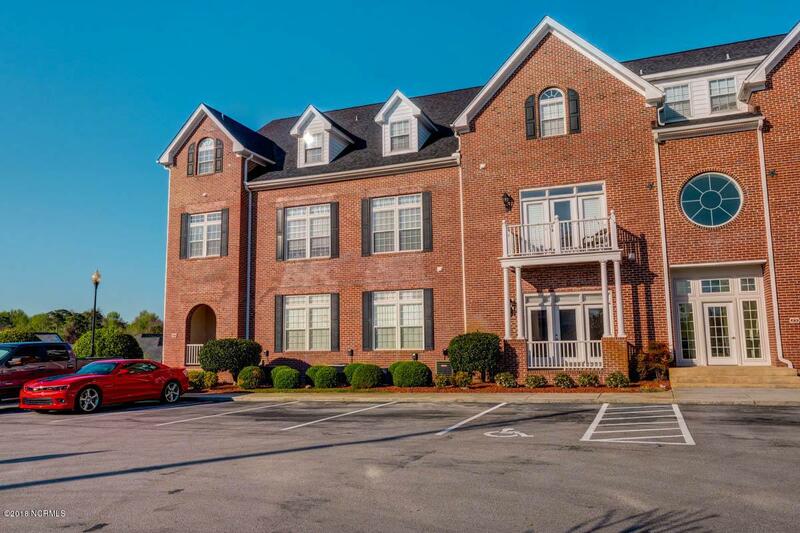 Act quickly on this desirable condo along the water in the scenic town of Swansboro! Location, location, location! 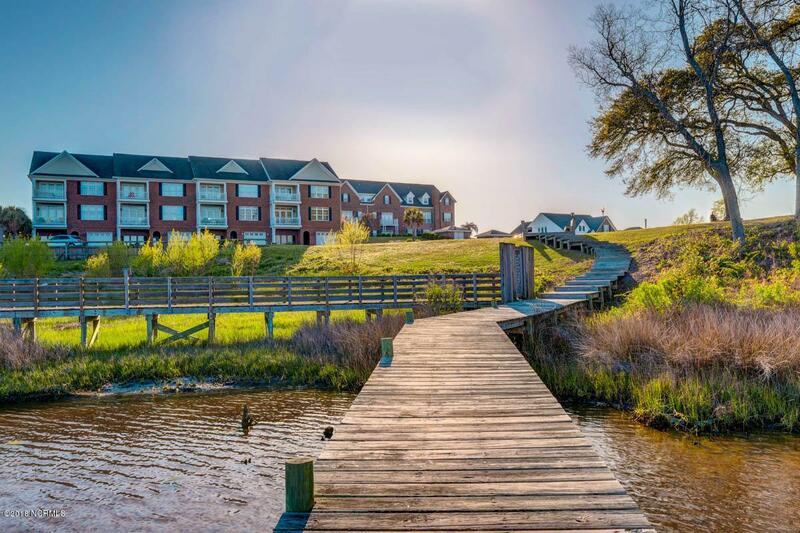 Imagine walking to historic downtown Swansboro to enjoy live music, dining, shopping,and events including: Mullet Festival,Arts Festival, Derby Day and Pirates Fest! Also within walking distance is a park with state of the art equipment for children, skate park, dog run and tennis courts! So much to do when you're not relaxing in your condo, swimming in the pool, or fishing at the dock. 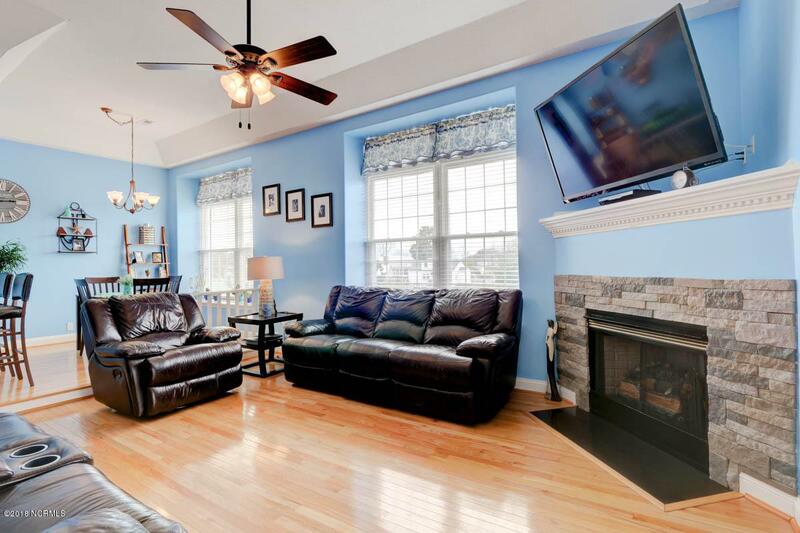 The living area of the condo boasts 11' ceilings and gleaming wood flooring with gorgeous windows overlooking the amazing town of Swansboro! The kitchen is stunning with sought after white cabinetry and rich granite counter tops. Just off thekitchen, the light filled dining room is open to the over sized living room which includes a gas fireplace with gorgeous stone surround. A flex space is also located on the first level. Imagine the possibilities this space offers such as: home gym, office, playroom, craft/hobby space, or whatever you choose! An enclosed porch for relaxing and unwinding on the upcoming spring evenings awaits you! Upstairs, the loft offers many possibilities and adds to the spaciousness! The size the master bedroom , walk-in closet and en suite bath will amaze you! The bath includes tile flooring, dual vanity, walk-in shower and jetted tub with window over-looking Swansboro. Completing the second level is a second bedroom with two closets,one being a huge walk-in closet, and full bathroom. HOA includes lawn maintenance, pool maintenance, propane for fireplace, common area and parking lot maintenance, garbage removal, wind and hail insurance, exterior building maintenance and much more! As an added bonus, the sellers have installed BRAND NEW carpeting! 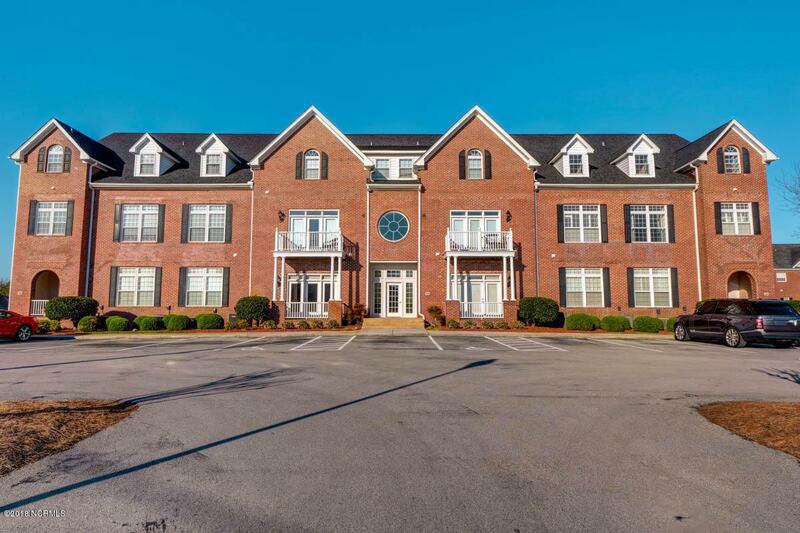 Call today to see this amazing place to call home that truly has it all!